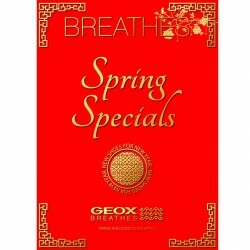 Celebrate the coming Lunar New Year with GEOX! Enjoy and receive $18 CNY rebate for every $188 spent on Regular-Priced shoes/apparel and enjoy additional 8% off with 2 or more pairs of Sale-Priced shoes in a single receipt. Plus, enjoy one lucky spin on GEOX Wheel of Fortune to win attractive prizes with every $268 nett purchase. Other Terms and Conditions Apply. 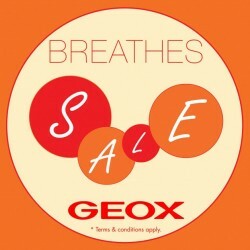 Italian footwear GEOX known for its patented breathable technology and stylish shoe designs has just started their mid-year sale in conjunction with the Great Singapore Sale season. Grab up to 50% discounts on selected items and a special 20% off when you purchase any two pairs of regular-priced shoes.